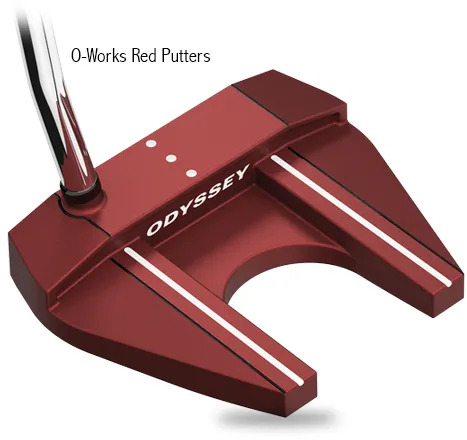 Odyssey O-Works Putters will help you hit longer putts more consistently on or close to your target distance. not only keeps the ball on line, it will deliver consistency of roll and distance. You’ll find Putters in the range that help you hit your distance targets. A larger hitting zone will create consistent ball speeds if your strike is slightly off-centre. Higher MOI (also helping accuracy) is created by perimeter weighting and sole weights. One of the challenges of long-putt distance control is striking the sweet spot. High contrast alignment technology, offered in the Versa designs, is more than alignment. 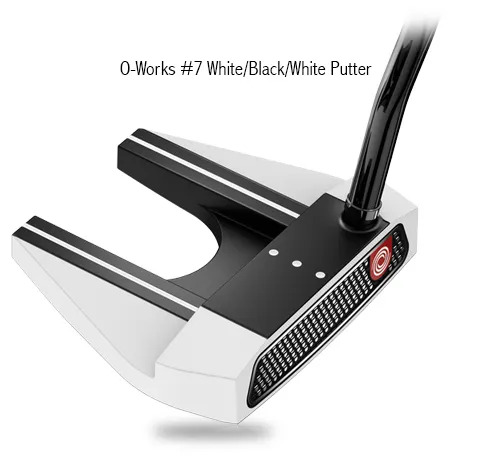 It helps you sight the Putter head at address and contact for better sweet spot contact. 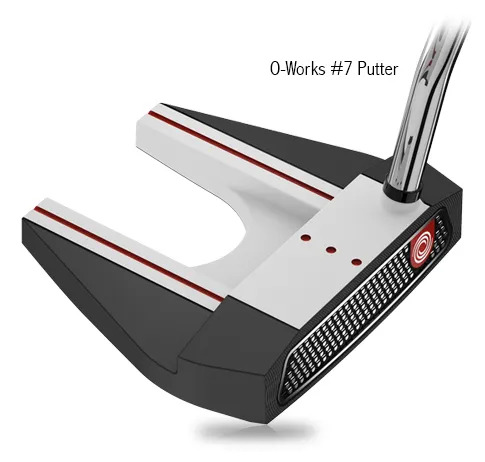 For some there’s an advantage in the clear, simple, O-Works Red Putters. The colour stands out at address, improving alignment and setup. 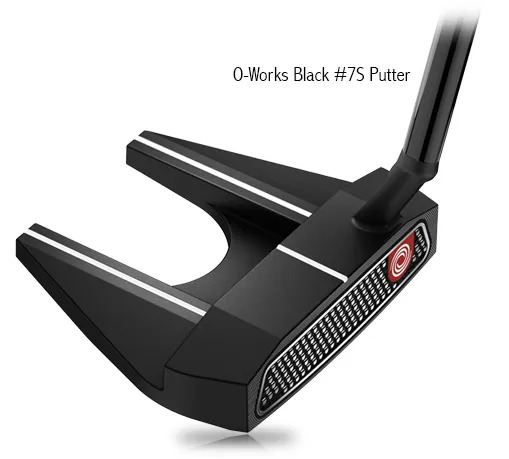 Add a microhinge insert, perimeter weighting for higher MOI, and you have an effective Putter. 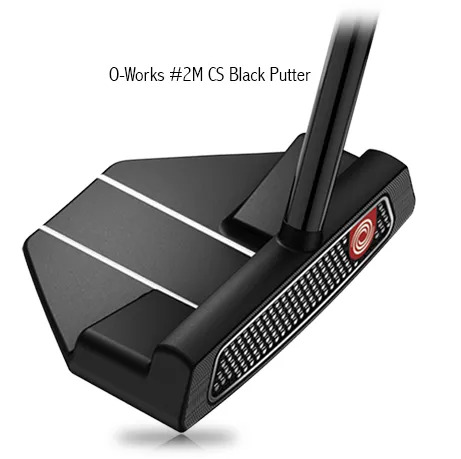 Technology helps to improve your control of distance on longer putts. So does finding a shaft length, that allows you to set up to make a consistent stroke. So does making sure the hosel design supports your angle of attack and stroke. 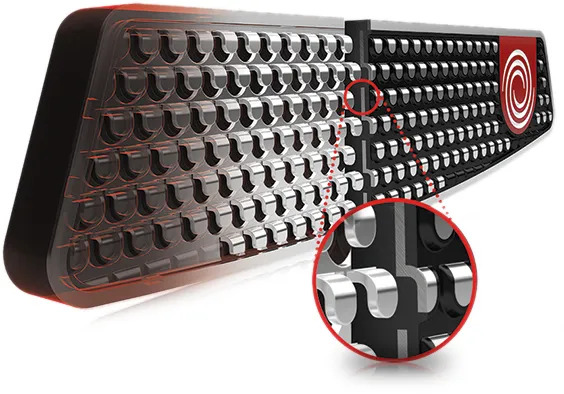 You don’t have to limit yourself to the best technology or a fitting.